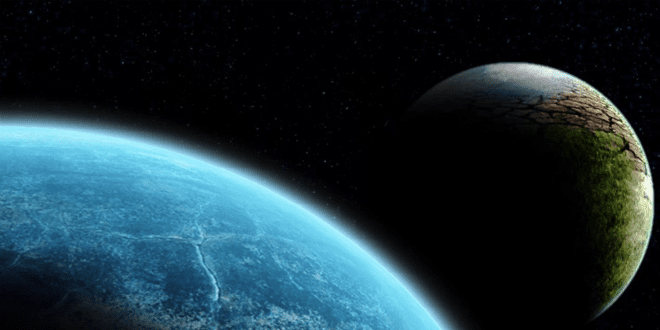 Are Astronomers Finally Searching for Nibiru? While denying the existence of the pre-Messiah astronomical Nibiru, astronomers have discovered yet another extremely distant, dwarf planet in a part of the solar system previously thought to be empty. The new planet is aptly named ‘the Goblin’ and its presence hints at another, much more massive, yet still unseen, Planet Nine. Scientists have long surmised the existence of a planet beyond Pluto (which officially lost its planet status in 2006) in a region of space known as the Oort Cloud. The newly discovered Goblin is helping astronomers in their search for the yet-to-be-discovered Planet Nine. Scientists have observed that the Goblin is being influenced by the gravitational effects of some giant unseen astronomical body, leading them to believe in the existence of Planet Nine. Only about 185 miles across, the Goblin has an extremely elongated elliptical orbit. The Goblin, so named because scientists first observed it around Halloween 2015, is really far out. At its closest distance, the Goblin comes about 7.4 billion miles from the sun. This is two-and-a-half times as far from the sun as Pluto or about one hundred times the earth’s distance from our life-giving star. At its furthest distance, the Goblin is more than 200 billion miles from the sun. This enormous loop takes 40,000 years for the Goblin to complete. Astronomers used to believe the outer solar system was empty but the Goblin is the third minor planet astronomers have discovered there so far. The three objects seem to be clustered together, leading researchers to assume there is another, much larger object drawing them in. The Goblin was discovered using the Japanese Subaru eight-meter telescope located on the Mauna Kea volcano in Hawaii. The telescope is the only one in the world to be able to produce deep images capable of probing the outer reaches of the solar system, while also having a wide enough field of view to be able to image enough sky to discover rare objects. “With other large telescopes, it is like looking through a straw and thus they are good for observing things you know are there, but not for finding new things as their field of views are too small for covering large areas of sky,” said Sheppard. Yuval Ovadia, whose videos on Nibiru has garnered hundreds of thousands of views,is not surprised by the new discovery. Ovadia cited the Jewish movement in the 17th Century that claimed Shabbetai Tzvi, a Sephardic-ordained rabbi of Romaniote (indigenous to Greece) origins, was the long-awaited Messiah. Under threat of death by the Ottoman sultan, Shabbetai Zvi converted to Islam, destroying the hopes of his followers. The original source for Nibiru appears in the Bible. The non-Jewish prophet Balaam prophesied the Star of Jacob would appear in the Messianic era.